Six Expensive Must-Try Beauty Products! || Seis Productos de Belleza Caros Que Debes Probar! There are six high-end beauty products that I adore and have (with the exception of the perfume) purchased over and over again. I'm not rich by any means, so I always research all of the products I buy in order to maximize my money. If you are reading this, then you are just like me. 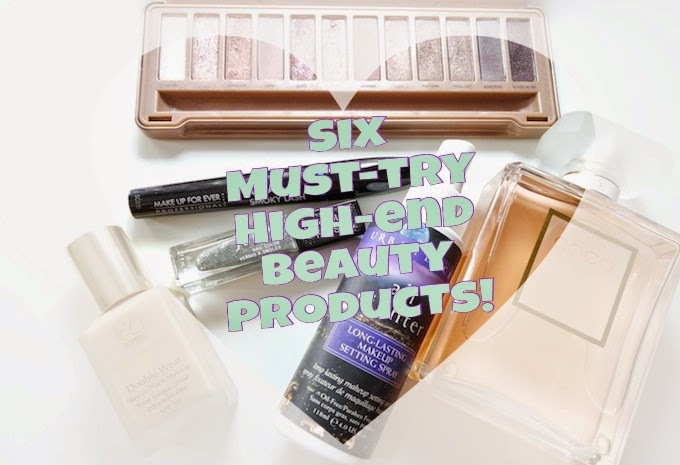 Nowadays, there are many drugstore products that deliver great quality at a great price, but even with their advancements, I have yet to find products that can substitute these six products! *Don't forget to use E-bates when purchasing any of these products online to earn cash back! If the world was about to end and I could save myself and one item from my makeup collection it would be my Estee Lauder Double Wear Foundation ($37). It is the only foundation I trust for a flawless look. Some people claim it is a bit heavy, so if you like foundations that feel light on your skin, then I recommend the Double Wear Light Foundation ($37). Both foundations wear very well throughout the day. The regular Double Wear is indeed a bit heavier, but it is perfect for those long days or party nights. It stays put, it does not oxidize (on me at least), and it controls oil very well. I have been using it for more than seven years and I don't think I'll stop anytime soon! This is the #1 product that you must try, especially if you are looking for a long wearing foundation. Urban Decay's Naked line has been growing tremendously. Two of its shadow palettes are my #1 most used. However, I have to say the the Naked 3 palette has been my preferred choice since I bought it. I love pink tones and these are just perfect for my everyday routine. 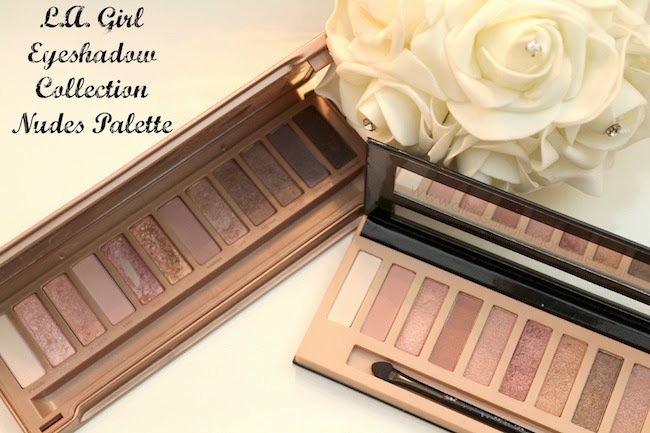 If you are not a fan of pink tones, then you must buy the Naked 1 palette. Whatever palette you choose, your $54 dollars are going to be well spent. Urban Decay is famous for proving great quality shadows that are pigmented and that blend well. If you have not joined the Naked bandwagon, what are you waiting for? If you are a woman on the go that hardly has time to check and touch-up your makeup, then you need the Urban Decay All Nighter Setting Spray. This oil-free, and paraben free, spray sets your makeup so that it stays put for up to 16 hours. I apply it before and after my foundation on days where I know I need to look flawless. As I mentioned on Instagram, I had been coveting Chanel's Mademoiselle perfume, and now that I have it I wonder why it took me so long. We all have different tastes, but as the store attendant mentioned, "you can never go wrong with Chanel." With many scents to choose from, I'm sure you can find one that fits your style. I choose this one because it feels fresh and flowery. It costs between $90-$200 dollars. I chose the $200 dollar bottle because it had twice the amount than the $120 3.4 oz version. Anyhow, a good perfume with a classy/classic scent is a must-have. Make Up For Ever's Smoky Lash Mascara ($23 USD)is THE BEST MASCARA IN THE WORLD! I'm a mascara lover. I have many mascaras and many favorites, some drugstore and other high-end, but my #1 is this one. I have tried the non-waterproof version and it is equally amazing. I do prefer the Aqua (waterproof) version for my own peace of mind, but both give you deep back lashes, volume, and length! My curl lasts a long time with this mascara and it does not transfer. I love it and I have a feeling you might too! Julep's Braiden is one of those nail polishes that are truly unique, and unlike many glitter polishes, this one lasts a long time and it's not a pain to remove. Julep's Braiden costs $14 USD, but it is 100% worth every penny. It looks very pretty and unique! I always receive compliments when wearing it. The best thing is that you do not need to go to a beauty salon to get a fun and trendy look! igual yo amo la naked 3 y sabes que le tengo ganas a esa base y al fijador de UD así que me has convencido!